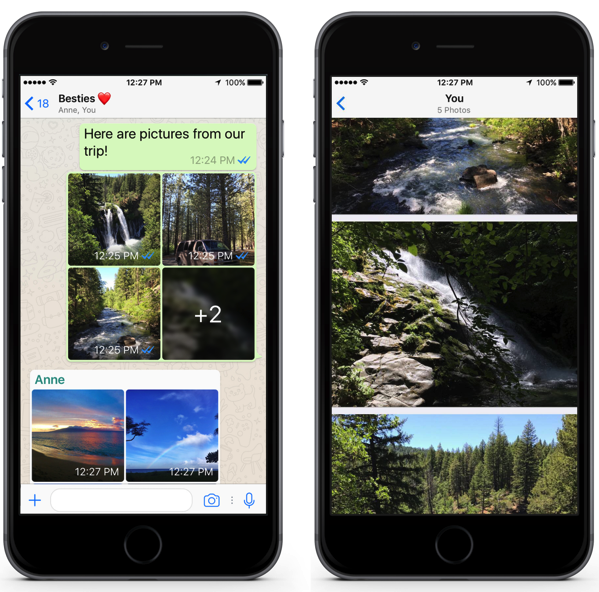 WhatsApp for iOS is getting a feature-packed update today, bringing photo filters, albums and reply shortcuts to the popular messaging app. Users can now add one of five filters to their photos, videos, and GIFs from within the app, while sending four or more photos or videos will automatically group them into an album (via TechCrunch). The new features are currently exclusive to WhatsApp for iOS. Regarding the availability of new features on Android, a WhatsApp spokesperson said “We’d like to add these features to the Android app in the future, but do not have timing to share yet”. The update is rolling out today for free in the App Store.